“Reliability” and “lifetime” are not synonyms. They are two separate and equally useful values reported by a component or subsystem manufacturer. A “failure” is an event which ends the life of a specific product or component, but may need definition if that end is not immediately evident, as is the case with lumen depreciation. Usually a luminaire or lamp design will encompass a number of interdependent components and subsystems, each with different lifetime and reliability values. It is not normally appropriate to use the worst or best case of these values; rather, the system needs to be evaluated as a whole because there can be inter-device effects (such as thermal impacts) that need to be taken into account. Lifetime is an estimate of how long any single product is expected to operate as intended, given a specific set of environmental and mechanical requirements. Intuitively, we understand a luminaire’s “lifetime” or “end of life” to be when it no longer emits light. For conventional lighting technologies, the “rated life” of a lamp, for example, is usually considered to be the time when half of the lamps have failed (B50). However, we’ve learned that LEDs fade over time, and so we’ve modified our definition to mean “when there’s no longer enough light,” sometimes defined as “useful life.” But sometimes only lumen depreciation is considered, and then, often, only the lumen depreciation of the LEDs is considered in estimating useful life of the luminaire product. Each is a problem, since failure or degradation of drivers, optics, or other components can lead to either total failure, in the traditional sense, or accelerated lumen depreciation of the LEDs. Lifetime does not consider repair or replacement, either of premature failures or in the course of normal maintenance of a serviceable system, although the ability to service can be a valuable attribute of a product. Failure, as noted above, is an event pertaining to a specific unit of a product or component. Failure of any part may lead to failure of the whole. Some performance degradation of a driver, even short of ending that component’s life, could, however, result in failure of the LEDs. Such interactions among components need to be considered in estimating system failure rates (reliability). Because the LEDs themselves are expected to have a long, useful life, all other components, adhesives, and materials should also be long-lived, at least to the extent they do not result in an inappropriately shortened life. This last phrase is key: While it may be possible to design the other components to have equally long lives, or even longer lives than the LEDs, that may not be the most cost-effective solution for the application. The underlying objective of designing for long life is identifying the appropriate balance between statistical certainty and cost. If cost were unconstrained, an extremely long-life, highly reliable system could be designed—although, even in this case, random failures would be expected. 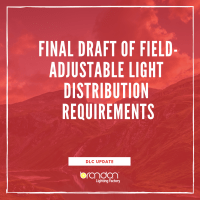 Practically, the luminaire should be designed so that there is an acceptable level of failure over the anticipated lifetime of the system for a reasonable cost. Above all, it is important that the claims match the performance and that customer expectations are met. Reliability, as defined by the Institute of Electrical and Electronic Engineers (IEEE) and others, is the ability of a system or component to perform its required functions under stated conditions for a specified period of time. It is often reported as Mean Time Between Failures (MTBF) as distinguished from Mean Time To Failure (MTTF). (When the failure times are normally distributed, the mean and median [B50] times to failure are the same, but for other distributions they may be different.) MTBF is an especially useful measure when the system is repairable, as it will determine the maintenance interval. The average time of random failure is calculated by dividing MTBF by a population size. For example, if there are 1,000 devices with an MTBF of 100,000 hours, it is expected that there will be a random failure every 100 hours. For electronics, the performance of a system composed of a number of components is typically characterized by an initial high failure rate (infant mortality period), followed by a long period with a low rate of random failures, concluding with a high failure rate at the wearout period or end of life. The random failures between initial failures and end-of-life wearout are essentially determined by the tails of these distributions. Figure 1 shows what is commonly known as a “bathtub” curve depicting that behavior. These will always be with us. Even with a well-designed product, excursions from process control occur from time to time. Usually, these defects result in early failures. They may be partially covered by warranties, but that may still be unsatisfactory if the incidence of failure is too high. 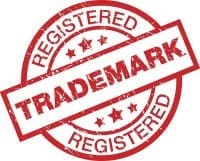 At present this does not seem to be an overly serious issue, at least with the major manufacturers, but as the volumes rise and as less experienced manufacturers enter the market, it is important that close attention be paid to quality controls. Factory testing and “burn-in” can also help. These can lead to additional costs, but can also minimize the customer seeing the early failures. A well-designed system operated under normal conditions within specifications will, nonetheless, eventually fail. There may be two or three critical modes of failure that eventually make the system unusable. With well-made components, the time of this failure should be fairly predictable, at least within a range, and this is what lighting users have come to expect is the “lifetime” of the luminaire. Understanding how to evaluate a system and predict end of life accurately is very important for market acceptance of solid-state lighting. It is the focus of the discussions in this guide.